Earn the Ghost Hunter trophy, and find all 62 dead Ghosts scattered across Earth, Venus, Mars and the Moon. Ghosts have an important role to play in the world of Destiny. 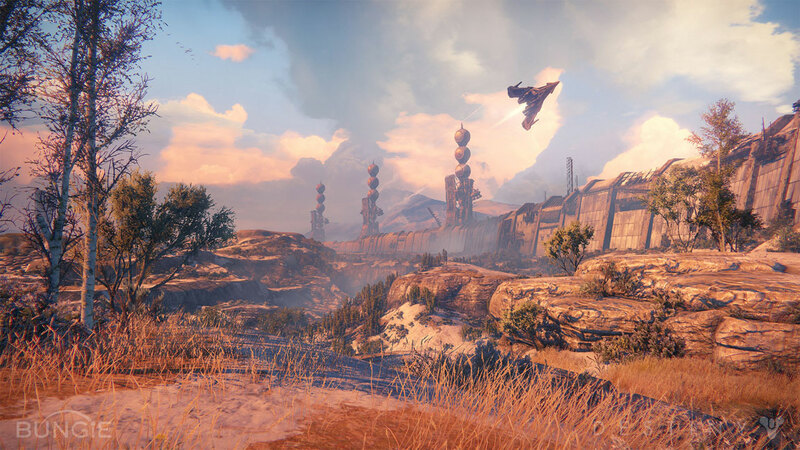 Of course, anybody who’s played Destiny for a significant amount of time will know this – after all, your Ghost gives you the ability to summon a personal vehicle, quickly jump into orbit, or help lead the way to your next objective. However, they’re evidently not invincible, as there are plenty of dead Ghosts scattered across the game’s four planets. But dead Ghosts aren’t just useless scraps of now-obsolete tech. For starters, reviving a dead Ghost gives the player a new Grimoire Card, which in turn boosts your Grimoire score. And furthermore, reviving fifty dead Ghosts (there are 62 in total) is enough to bag a shiny PlayStation trophy of Xbox achievement – the ‘Ghost Hunter’ award. To make things as straightforward as possible, this guide will outline the whereabouts of these dead Ghosts one-by-one, including each one’s proximity to mission objectives. Dead Ghosts can also be found in the game’s Patrol mode, but that makes it much more complicated for us to provide specific guidance. 1. Finding the first Ghost should be simple. Located on the outside area of The Tower, to find it you should begin by heading up the stairs leading up to the button which activates the fan. Upon reaching the top of the stairs, turn right and you should see the Ghost atop some boxes. 2. From the location of the first Ghost, head down the stairs and pass through to Tower North. You should then continue down the flight of stairs until you find yourself in an area dominated by a large sphere. From here, you’ll find the dead Ghost by heading up another set of stairs. 3. The Hall of Guardians – the main heart of The Tower, to many – is where you’ll find the next one. Set off towards the trio of Vanguards standing around a big table, and then turn right just before you reach them. You should spot the dead Ghost sitting on a desk. 4. The Tower’s last dead Ghost can only be found while an Iron Banner event is taking place. To find and revive it, climb the stairs above the Hall of Guardians entrance. Now you’ll see a gate which, if open, leads to the observation deck where the dead Ghost is to be found. You’ll spot it on the railing. 5. Earth’s first dead Ghost is most easily found during the story mission ‘A Guardian Rises’. Immediately after you pick up your first weapon and are given the ‘Fight Through the Wall’ objective, head around the corner and into the long hallway. You’ll find the dead Ghost in the ceiling. 6. You can find this next one on the same mission as the last. Entering a big room with a crater in the wall, you should go down the stairs before turning left. The dead Ghost should be right there, next to some bright lights under a catwalk. 7. Again, this dead Ghost can be found while playing ‘A Guardian Rises’, which is the game’s first story mission. After being given the objective to ‘Find the Ship’, you should enter The Divide. Keep an eye out for a sign, as this is where you’ll find the dead Ghost. You’ll have to make use of your double-jump on nearby containers and buildings in order to reach it, but you’ll find the collectible on the metal framework behind the sign. 8. Continuing on the opening mission in The Divide, with the objective to ‘Fight Through the Fallen’, the next dead Ghost lies just beyond the sign upon which you found the last one. Pass under the sign, turn right and enter a pipe in order to find it. 9. Onto another mission now. In the ‘Restoration’ mission, with the objective to ‘Recon the Crash Site’, you should find yourself in an area called The Steppes. The dead Ghost is sitting to the right of your objective marker, on the ground inside a small building. 10. During the same mission, you can pick up the next dead Ghost. After picking up the previous dead Ghost in The Steppes, you should summon your vehicle before completing the ‘Recon the Crash Site’ objective. Then, using your vehicle, steer left of the objective to go down the mountain. You’ll then see a narrow gutter with two drainpipes, at the end of which you should spot the Ghost. 11. During ‘The Dark Within’ mission, when you’re given the ‘Get to Skywatch’ objective, you can find a dead Ghost in the Mothyards. You’ll see a plane, crashed on the ground with a wing jutting out from the wreckage. Head towards it, run up the wing and jump into the nearby cave opening. Here, you’ll find the Ghost lying on the ground to your left. 12. Continuing through the Mothyards as part of ‘The Dark Within’, there’s another dead Ghost to be found – only this time on the way towards the Forgotten Shore. After summoning your vehicle, you should steer towards the winding canyons until you catch sight of a cave, its opening covered by the flow of a small waterfall. Ducking inside the cave, you’ll see a dead Ghost in a hole in the wall. 13. Sticking with ‘The Dark Within’ and the ‘Get to Skywatch’ objective, you’ll find another dead Ghost in the Lunar Complex. Venturing into an area so dark you’ll need a flashlight in order to see, you’ll have to make your way to the far right corner of the room and jump onto an object to revive the dead Ghost. 14. Moving onto the ‘Infiltrate the Skywatch’ objective on ‘The Dark Within’, this dead Ghost can be found in the Terrestrial Complex. You should first pass beneath a blue sign, before continuing to the left and exploring the area to the side of the hallway, and finally locating the dead Ghost against the wall. 15. This one can be found during ‘The Warmind’ mission, when you’re given the ‘Amplifiers Scanned’ objective. Exploring the Forgotten Shore, the player should make their way inside a broken ship – the dead Ghost you’re after will be between two sets of lockers, on the floor. 16. Now onto ‘The Last Array’. When you’re given the ‘Find the Control Station’ objective, you should walk between the tails of two helicopters before dropping to a narrow path beneath. Venture inside a cave, and you’ll find the dead Ghost to your right. 17. It is during ‘The Devil’s Lair’, a Strike mission, that you will come across the next one. When your objective reads ‘Enter the Devil’s Lair’, you should venture to the left side of the Rocketyard and leap onto a crate, before double-jumping on top of a nearby building. Atop what looks like some kind of air conditioning unit, you’ll find another dead Ghost. 18. While still tackling ‘The Devil’s Lair’, you’ll progress onto an objective called ‘Take Back the Refinery’. When entering the Refinery, ignore the staircase on your left and opt to progress forward instead. Entering a room with a sign above its door, you’ll find the dead Ghost. 19. The final dead Ghost on ‘The Devil’s Lair’ mission is found when you’re taking on the Devil Walker in The Blast area. You’ll be given the objective to ‘Cut Through the Fallen’, and the collectible should be simple enough to find – after heading to the upper-left corner of the area, as well as up a flight of stairs, you’ll find the dead Ghost on a table. 20. To revive this dead Ghost, you should enter Patrol mode. To find it, head straight past the broken ship in the Forgotten Shore region – see number 15 in this guide – and towards the Bunker RAS-2 area. You’ll find it hidden beneath a stairwell, on the very bottom level. 21. This one’s the final dead Ghost on Earth – in The Grottos, to be precise – and once again you’ll find it in Patrol mode. Walk beneath the RAS-2 Bunker and continue along the winding canyon. You should pass two enemies, before ducking down to the left pathway. And there, you’ll see a large drainpipe, which is where you’ll find what you’re after. 22. 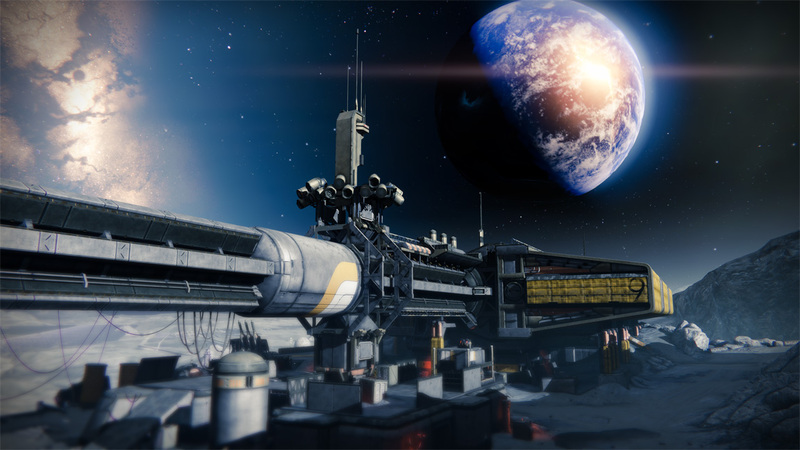 For reviving your first dead Ghost on the Moon, you’ll want to wait until ‘The Dark Beyond’ mission. When you’re given the objective to ‘Track the Guardian’, you should keep an eye out for a large pipe in Archer’s Line. Moving to the pipe’s right side and jumping up, you should see the Ghost. 23. While continuing to complete the ‘Track the Guardian’ objective in ‘The Dark Beyond’ mission, this second dead Ghost is also found at Archer’s Line. Players should set off towards a partially broken glass dome, before looking off the cliff to the right. Down there, you should immediately spot the collectible. 24. While still on ‘The Dark Beyond’, this dead Ghost should be found when you’re given the objective to ‘Find the Colony Base’, lurking somewhere in the Anchor of Light area. You’ll have to jump up several levels to reach this one – it’s on the left hand side of the large radio tower. 25. Players will find this one while tackling ‘The World’s Grave’ mission. As you are given the objective to ‘Enter the Hive Fortress’, you’ll find the dead Ghost on the left side of a large room in the Hall of Wisdom. As a further reference point, it’s near a giant hole. 26. As you continue ‘The World’s Grave’, you’ll be given an objective called ‘Conquer the Knight’. As you tackle this objective in the Circle of Bones, you should find yourself in an area with a huge opening in its centre. Head left, jump up to a hidden walkway, and you should find one of your treasured dead Ghosts sitting on a railing. 27. Moving onto ‘The Sword of Crota’ mission, you’ll be given an objective to ‘Find the Swarm Prince’. As soon as you enter the Hellmouth region, look for an area with some brightly-lit poles to the right of you. Head for the lights, duck into the first building, and grab the dead Ghost from atop a computer. 28. As ‘The Sword of Crota’ progresses, you’ll be given the objective to ‘Locate the Sword’. Entering The Gatehouse area through a door, turn immediately to the left and head towards the edge. And there, sitting on an overhanging beam, you’ll find a dead Ghost. 29. 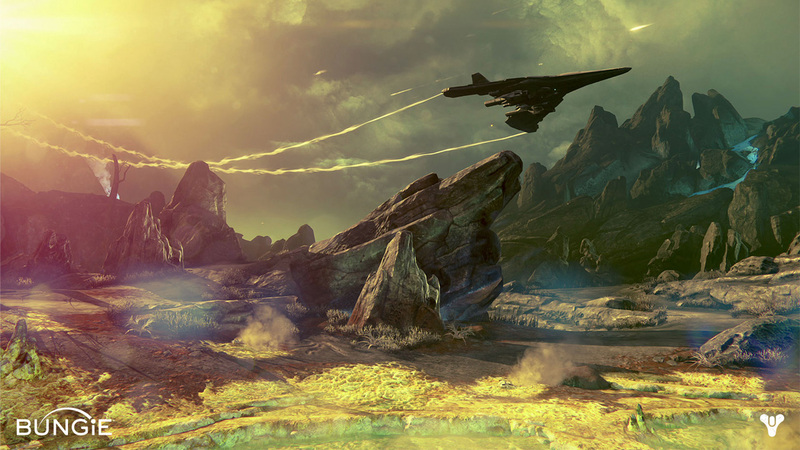 You’ll be taking on the ‘Shrine of Oryx’ mission, in the area of the same name, when you happen across the next dead Ghost. After being given the objective to ‘Destroy the Shrine’, you’ll proceed through a round door into a tunnel, which is adorned with rib-shaped structures. From here, you should see the collectible Ghost easily enough – it’s in the far right corner. 30. At this stage, there should be only one dead Ghost left on the Moon. You’ll find it during the ‘Chamber of Night’ mission, after being given the objective to ‘Find the Chamber’. Descending to the very lowest level of the Temple of Crota area, you should see a large structure in the centre. And, if you clamber up the side of it, you’ll be able to access the Ghost on a ledge nearby. 31. Now onto Venus. You should be in the Headlands area, taking on ‘A Stranger’s Call’, when you track down the planet’s first dead Ghost. After being given the objective to ‘Find the Guardian Outpost’, you should head to your right, following the dirt track and passing three pools. Continue towards a fourth pool, near to which you should find a collectible behind a rock. 32. Still on ‘A Stranger’s Call’, with the same objective to ‘Find the Guardian Outpost’, you’ll find the next dead Ghost in The Shattered Coast area. Looking over to your right, you should see a cluster of cars next to a small shelter. The collectible Ghost should be sitting in the back of one of these cars. 33. As ‘A Stranger’s Call’ progresses, you’ll find yourself in Ishtar Academy with the objective to ‘Scan the Conflux’. After making your way to a room with a powerful light beam, use your double-jump to reach the third-floor balcony on the left. There lies the Ghost you seek. 34. While tackling the ‘Ishtar Collective’ mission, in the Ishtar Cliffs, there’s another Ghost to be found. When given the ‘Find a Mind Core’ objective, players should remember to keep a watchful eye out for dead Ghosts, too. There’s one atop some rocks, just on the left hand side of a river and next to a tree. 35. As ‘Ishtar Collective’ continues, you’ll be told to ‘Find the Research Site’. On the approach to the Waking Ruins, jump up on a couple of remnants before double-jumping onto the highest point. It’s here that you’ll spot the dead Ghost. 36. Yet again, this one is to be found while playing through ‘Ishtar Collective’, but this time the dead Ghost will be lurking in the Campus 9 area. You’ll be given an objective to ‘Eliminate the Fallen’, at which point you’ll need to look for a large structure topped with a satellite dish. Atop some rocks and hidden behind that dish, you can bag another Ghost for the collection. 37. 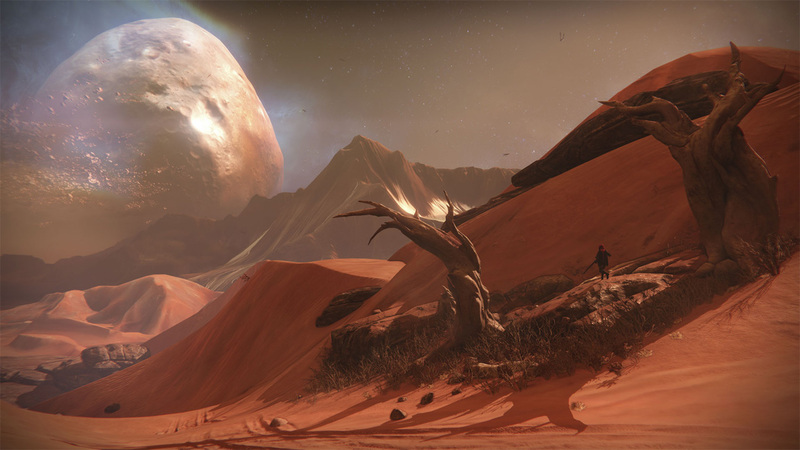 Exploring Ishtar Commons during ‘The Archive’ mission will yield two dead Ghosts. The first should be sought out while completing the ‘Enter the Academy’ objective. After heading outside to see a red tarp hanging in the courtyard, you should find the Ghost on the awning of a nearby window. 38. The second dead Ghost in Ishtar Commons is also found during ‘The Archive’, and rather close to the first one. While still tackling the ‘Enter the Academy’ objective, exit the room once again to see the red tarp, but instead turn right and climb a flight of stairs. Here, you’ll find what you’re after in an elevator shaft. 39. While still on ‘The Archive’ mission, the player can find and revive yet another dead Ghost, this time in the Hall of Whispers. After being given the objective to ‘Kill the Fallen’, you should climb two flights of stairs and follow through to a balcony. There, lo and behold, is a dead Ghost in the branch of a tree nearby. 40. Moving onto the ‘Scourge of Winter’ mission, and into the Ember Caves, there’s another dead Ghost up for grabs. You’ll be given the objective to ‘Enter the Fallen Hideout’, at which point you should spot a cave to the right of your objective marker. And there’s the Ghost, lurking right there in that cave. 41. As ‘Scourge of Winter’ continues, you’ll find yourself reaching the Winter’s Lair. And here, there’s another dead Ghost for you. Your on-screen objective will be to ‘Find Draxis’. Entering the lair, you should stick to the left wall until you reach a cave – there are three, so keep checking – then go inside and grab the Ghost. 42. You’ll find the next dead Ghost during the ‘Eye of a Gate Lord’ mission, while tackling the ‘Ascend the Steps’ objective. While progressing through the Endless Steps area, you’ll come across a part in which there is a portal to the right and a beam of light directly ahead. Directly adjacent to that light are some rocks, upon which the dead Ghost sits. 43. The penultimate dead Ghost on Venus is found during a Strike mission called ‘The Nexus’. You’ll be in the N/Gen Branch area, your objective should read ‘Find the Nexus’, and you should just simply follow your objective marker up a couple flights of stairs. Then, before going in the door, swipe the collectible on the top floor. 44. Venus’s last dead Ghost is also found during ‘The Nexus’. You’ll be in the Dig Site 4 Area, with the objective to ‘Find the Nexus’. To find it, go straight though the red room and into an area dominated by a big glass tube. Now run straight past the tubular structure, through the door, and you should find the planet’s last Ghost in a sink. 45. Now onto Mars! This planet’s first dead Ghost can be found in The Barrens area, during the ‘Exclusion Zone’ mission. Your objective will read ‘Find the Gate’, and on your way through you’ll come across two notable structures. Venture inside the one with a rounded roof, and find the Ghost atop a box. 46. As the ‘Exclusion Zone’ mission continues, you should get yourself to the Scablands area to claim the next dead Ghost. Your objective should still read ‘Find the Gate’. After heading through the enormous gateway, head left and hop onto a low roof to swipe another Ghost. 47. While tackling the ‘Access the Survey Post’ objective of ‘Exclusion Zone’, you should find yourself in Giant’s Pass. Head near to the objective marker, scan the environment for the only nearby tree, before examining its roots to find another Ghost. 48. As ‘Exclusion Zone’ continues in the Valley of the Kings, follow the dirt road towards a circular dome. Teetering on the edge of the cliff, off to the left side, lies another dead Ghost. 49. One final dead Ghost can be found during ‘Exclusion Zone’, also in the Valley of the Kings. When you’re given the objective to ‘Access Survey Post’, you should head towards a scorched circular structure. From here, turn right to find a bunker, covered in tubes. The Ghost you seek is tucked into the cliff behind said bunker. 50. While tackling ‘The Garden’s Spire’ mission, you can find another dead Ghost in the Firebase Rubicon area. Your objective should read ‘Locate the Spire’. Firstly, hug the left wall through an area strewn with objects. Then, enter the cave nearby – it’s quite tricky to spot, so look closely – and you’ll find the Ghost as the foot of a tree. 51. Moving onto the ‘Open the Gate’ objective on ‘The Garden’s Spire’, you’ll find yourself in an area called the Iron Line. After heading up a steep ramp, hop up the wall to the gate’s left. Then, you should jump into the middle of the room, discovering a collectible atop a rock. 52. This one’s not found on a mission. To find it, start out from the Iron Line area, before turning left and heading through two doors decorated with four blue dots. This should lead to the Trenchworks area, where the dead Ghost is waiting for you. Simply find it atop some rocks, next to a light post on your right hand side. 53. Continuing once again with ‘The Garden’s Spire’ – specifically, the objective to ‘Wake the Eye’ – this next one’s found in The Legion’s Keep area. Look out for a large rock formation, beneath which there will be a cave opening. To find the collectible you’ll want to head inside and follow the ring. 54. The next dead Ghost will be found as you take on ‘The Buried City’ mission. Your on-screen objective will read ‘Locate the Cabal Signal’, and will lead you towards a large dome in The Hollows area. The dome will be adorned with the letters CB. You’ll see a dead Ghost inside that dome, just on the catwalk. 55. Soon after in ‘The Buried City’, you’ll be given an objective to ‘Ascend the Skyscraper’. You’ll be in the ‘Dust Palace’ area. You’ll see a platform which runs across the entire circumference of the many-windowed room, onto which you should jump. Then, from here, onto a window ledge to find a dead Ghost. 56. Before long on ‘The Buried City’, you’ll be told to ‘Expel the Cabal’. As you progress through the Overwatch area, you should head through a door, above which a sign reads ‘Clovis Bray Exoscience’. The Ghost is then to your left, sitting next to a computer beneath a desk. 57. You’ll find your next dead Ghost during the mission ‘A Rising Tide’. As you enter The Drift area, immediately turn your attention towards a couple of dead trees on your right hand side. Clambering up the one closest to the road, you’ll find the Ghost you seek. 58. As ‘A Rising Tide’ continues, you’ll find yourself in The Buried City area, with the objective to ‘Enter the Buried City’. See that big building, with closed shutters and a massive sign on its roof? Head up there, and find a dead Ghost lurking to the rear of the sign. 59. It won’t be long until your objective on ‘A Rising Tide’ reads ‘Head to the Gate’, and you find yourself in the Freehold Station. Entering a room shrouded in darkness, you should jump on top of a TV set to your left, as this is where the dead Ghost will be found. 60. As you continue to trudge through ‘A Rising Tide’, you’ll be given the objective to ‘Destroy the Gates’. In the Tharsis Station area, you should first aim for a door, above which ‘Off World Transit’ is written. Go through, and turn right before finding the Ghost tucked away in the corner. 61. This is the penultimate dead Ghost to be found on Mars. And in the entirety of Destiny, for that matter. To find it, you’ll have to wait until ‘The Black Garden’ mission gives you an objective to ‘Explore the Garden’. Then, immediately after teleporting, clamber up some rocks to the left. From here, the collectible should by easy pickings. 62. And here it is, Destiny’s final dead Ghost. This one can also be found during ‘The Black Garden’, after being given the objective to ‘Explore the Garden’. Approaching a vast open space with a mountain dominating the horizon, steer right and follow the cliff’s edge. Dropping down, you’ll find the collectible no problem. Shack Staff posted a new article, Destiny Guide: All the Dead Ghost Locations, Scoring Ghost Hunter.